So far Mary Daire has created 25 blog entries. First round of letters ‘en route’ to our penpals in France! Our grade 4 and 5 French students have just sent their first letters to our penpals in France! I have organized this Penpal exchange with the Montessori School of Uzès, a bilingual school in a picturesque village in the South of France. Throughout the coming year, we will build on our correspondence with Madame Dubreuil’s class; we will write our letters in French, building our vocabulary and sentence structure, and including a couple of short sentences or questions in English at the end of each one; the French students will do the inverse! It promises to be an enriching and fun project for our students to embark on. 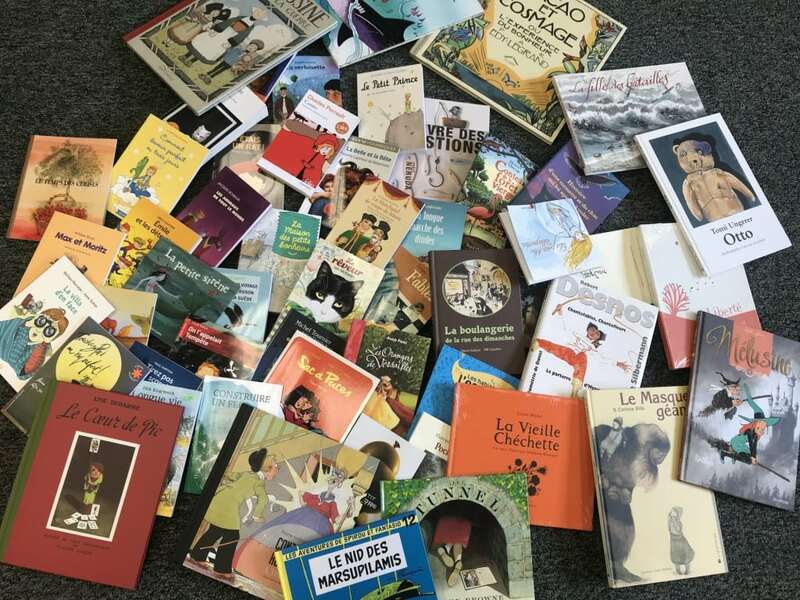 They will see their French skills be put ‘into action’ and see their growth in the language throughout the year, all the while, learning about the life of students their age in France. It will provide a glance into the culture of adolescents across the ocean. 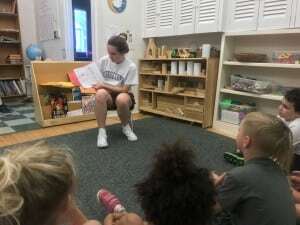 Please follow the link below to the album of photos from French class, where you will see the students at work on their letters! Yesterday was yet another example of the loving and supportive student-community that exists here at Berkshire Country Day School. 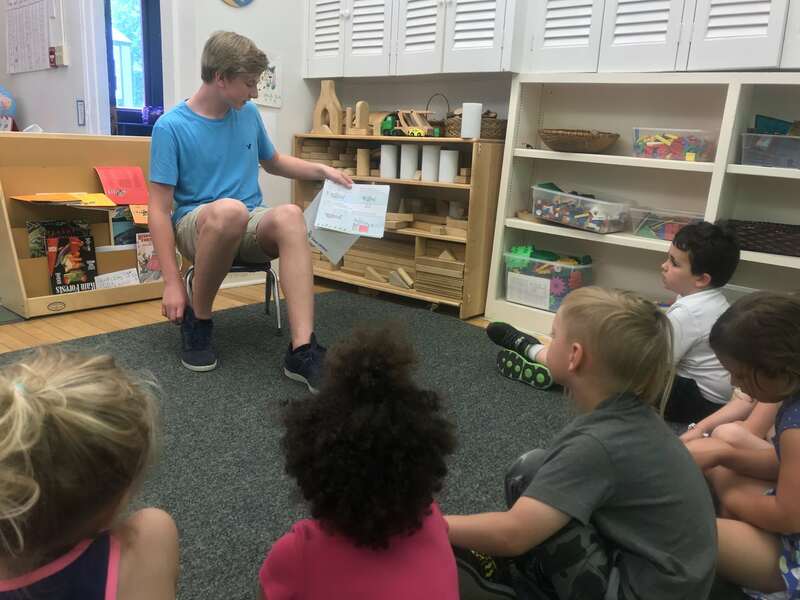 The 8th grade French class read-aloud their original short-stories, the final project in their 8th grade French curriculum, which they composed entirely in French, to the TK/Kindergarten class. It was an adorable show of affection from the oldest students in the school in front of their young peers. The 8th graders came to life in front of the class, animating their stories and sharing the excitement of what was happening in their novellas with the Kindergarten, helping them to understand through intonation and by showing their artwork, to then explain the storyline English after they had completed reading aloud. Each 8th grader shared the moral of their story, important life lessons like the importance of saying thank you, to never giving up on a dream, to not taking things without asking, to fostering an adventurous spirit. There were tales of a rabbit and farmer forming a friendship over the creation of a carrot patch, a lonely shark who finally makes a friend at his school under the sea, a frog who couldn’t jump but realized he was really good at running, and an unlikely friendship formed between a mouse and a baker sharing a cherry pie. I am extremely proud of the effort and care that the 8th graders put into their stories. Please take the opportunity to see the stories displayed on the board between the two language classrooms in the Ryan building! *Check out the BCD Flickr page for more pictures of the students reading aloud. 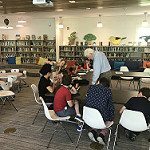 On Monday May 21 I had the pleasure of introducing my 7th grade French students to my father-in-law, Philippe Daire, who is currently visiting from France. Philippe was born in Paris in 1934, and was 5 years old when World War II broke out in Europe. He spent 40 minutes with our class telling the students about his childhood, how his mother had to send him to ‘La France Libre’ (Southwest France) where the German army had not yet claimed control, to live with his grandparents, as Paris fell to the German army in 1940. For more than 5 years of his early childhood, he was seperated from his parents; he barely knew his mother, as she had to remain in Paris to work, while his father, Maurice Daire, a member of the French army, was taken as a prisoner of war and was held for several years in a German work camp in Austria. Philippe was 11 years old when he saw his father again. Philippe’s father-in-law, Roger Leduc, was a member of the French Résistance movement, and he spoke to the way that this collection of civilian “soldiers” fought against the Nazi German occupation of France and against the collaborationist Vichy régime during the Second World War. He told the students how English bombers would fly over the channel and drop military rations by parachute to the Résistance troups hiding deep in the forests of France. It was a unique and rare experience to be able to hear a firsthand account of life in France during World War II, to learn how his life was affected, starting with what a child would notice the most… a shortage of chocolate, to the more severe and debilitating results of the war such as food & coal rationing, to clothing rationing, as with each year supplies grew more scarce and prices grew higher. Young French men were sent to Germany for STO (service de travail obligatoire) to run the German factories and be their work force … and for men such as Philippe’s father-in-law who decided not to join the STO to instead become become freedom fighters/ aka La Resistance who answered the call of General DeGaulle to fight behind the lines of the German occupied France in the effort to sabotage and slow down their forces. Philippe shared with the students his emotions, the emotions that he can remember, of feeling utterly hopeless in the face of the German army, to the glimmer of hope that arrived in the form of American ‘flying air-fortresses’ that could be heard flying high above France in 1944 & 1945. 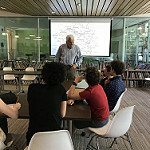 The students prepared questions to ask Philippe at the end of his presentation, ranging from inquiries regarding his personal experience of growing up during the war, to whether or not he had ever met a Nazi. He told of his encounter with a young German soldier in the streets of his village in the La France ‘libre’, one who was barely 18 years old, how through a child’s eyes the man seemed normal and kind, but how the terrifying reality of why he was in France and what he was a part of would haunt him for the rest of his life. I feel that our students found Philippe’s visit to be enlightening and special, as with each day, month and year that pass our world sees fewer and fewer survivors of World War II. I hope that they will remember his words in the years to come as they begin to study WW II in more depth in their Upper School and High School history classes. 6th grade service learning . . . the fun continues! 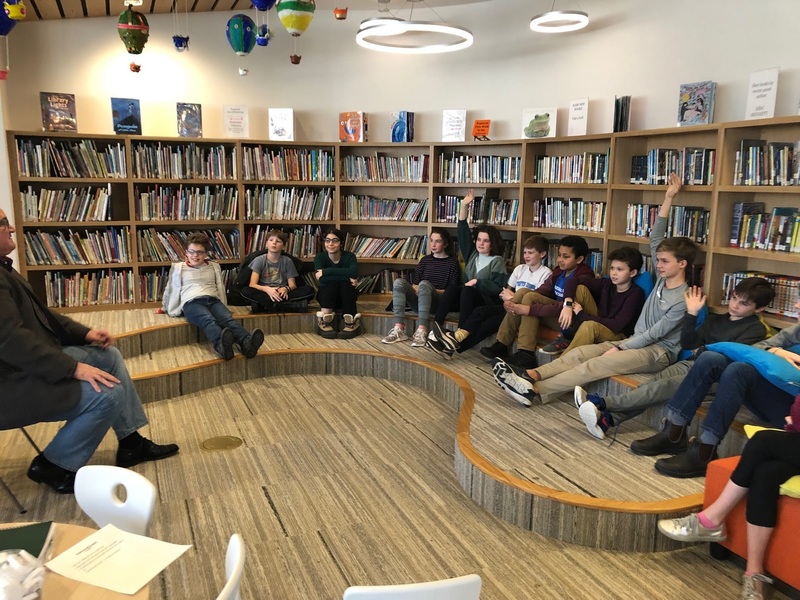 On the morning of April 30th the 6th grade welcomed our third and final guest speaker for the schoolyear in our Service Learning theme of Animal Rights, Jennifer Leahey from the local non-profit, ‘Nature Matters’. Nature Matters Inc. is a 501c3 non-profit which fosters the understanding and appreciation for our natural world, and the need for its conservation, through direct experiences with animals and the outdoors. Mrs. Leahey spoke to the class about her work as a wildlife rehabilitator and educator, and had several furry and feathered friends on hand for us to meet and observe! Through her presentation we learned of the path that she took to create this impactful and original organization. Mrs. Leahey is a licensed animal educator in the state of Massachsetts, in fact, her particular license was created specifically for her as had never existed in the state before! She is an example of what one can do when we set our minds and hearts to a cause and follow through with dedication and perseverance. Her presentation was inspirational and informative, and helps the students to see and learn first hand the difference that an individual with determination can do and make in this world. Here are some of the memorable experiences from her visit . . .
We met Kenny the skunk, who was born domesticated and thus can’t be released into the wild. Kenny now spends his day with the Leahey family and is part of Nature Matters in educating children on wildlife and their habits. We were also lucky to meet Otto, an adult red-tailed hawk, who was hit by a car and suffered a brain injury that has left half of his body paralyzed. Otto wouldn’t survive in the wild, so lives in captivity at the Leahey Farm in Lee. It was amazing being able to see him up close, being an animal we normally only see from afar. She brought three different species of turtles including a Russian tortoise that was raised in capitivity and his owner no longer could care him – we also met a baby snapping turtle that was found in a shopping center parking lot. Jennifer brought a 15-day old pigeon that was born in captivity and helps to educate children on the unique relationship and important role that pigeons play and have played with humans throughout history. Each of these endearing encounters with the animals was an up close and personal view of domestic and wild animals in the mission to educate the students on the importance of respecting and understanding them and their natural environment. 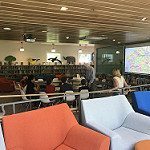 Mrs. Leahey’s visit was an enlightening and exciting way to wrap up our year-long Service Learning project, on which the 6th graders have been working tirelessly, with our different initiatives such as bake sales and animal food and supply drives. 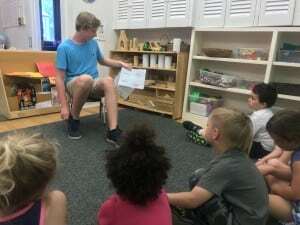 Throughout our entire Service Learning project, an underlying theme has been surrounding the education and understanding of animals, and what is required when we commit to having animals in our lives. All three of our guests emphasized this aspect of education and interaction with animals. It is an important lesson to instill in the students and will help them to make conscious decisions about their role in the lives of animals in the future, whether directly, through family pets, or indirectly, in encounters with wildlife. For more information about Nature Matters, please visit the Facebook page to learn more about the organization and it’s impact in our community! Jennifer also hosts after-school programs in the Spring, Summer and Fall seasons. Please inquire for more details!